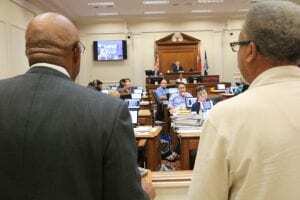 NASHVILLE, TN – Three members of the NAACP Nashville Branch delivered some really bad news to the city’s Budget and Finance committee last week: after almost ten years, the city has still not kept its promise to increase the number of contracts awarded to black-owned businesses. “Metro has not lived up to its responsibility,” said Alex Coure, spokesman for the NAACP’s economic development committee. Coure said the city’s 2008 nondiscrimination procurement program has failed to create opportunities for minority businesses since its inception. ”You did the disparity study in 2002 that ended in 2004. You passed legislation in 2007 and 2008 for procurement nondiscrimination to level the playing field. Well, it didn’t happen. In those years black and women owned business lost ground. Not my data. Metro government’s data,” Coure told council members. “Without a doubt minorities and women are underutilized consistently year after year after year,” Coure said. Finance Department statistics show black-owned businesses received just 2.8 percent of the total contract expenditures in the last five years. Women-owned businesses received 2.99 percent of all Metro contract dollars in the last five years. “The only businesses that are gaining traction are male-dominated businesses. That’s not my data. That’s Metro’s data,” Coure said. He repeated the mantra about the city’s own grim statistics several times during 9 minutes of testimony that underscored how little things have changed for black businesses. The Mayor has hired Griffin & Strong P.C. to do a second disparity study in Nashville to identify the problems and barriers keeping minorities from doing business with the city. It is the same Atlanta company that did the last three benchmark reports about Metro’s contracts with minority firms. The cost to Nashville taxpayers for those three reports, the previous disparity study, and the latest diversity study due June 2018 is probably $1 million or more. We asked the Finance Department for the exact figures but they did not respond by press time. Metro’s Chief Procurement Officer, Michelle Hernandez Lane, told the committee that the City Council approved those expenditures. Attorney Rodney Strong gave a Powerpoint presentation just before the council heard from the NAACP. “We don’t see where another disparity study that is going to take another year is going to show us anything any different,” Coure remarked. Coure’s reaction was shared by a number of council members. “We are going to do another study in hopes of telling us something that we don’t already know? Or confirm what we currently know? I’m a little baffled there,” said District 28 Councilwoman Tanaka Vercher. Lane, who once ran the Business Assistance Office and later became Mayor Barry’s diversity chief, deferred to Strong, who explained the court challenges made to race-based remedies to address racial disparity in government contracting. There was a time in the South, the Jim Crow era, when black firms were prohibited from doing business with the government by law. That was reserved for whites only. Strong explained that a 1989 Supreme Court case held that remedies for discrimination or present effects of past discrimination have to be very narrowly focused and are subject to strict scrutiny. And that means re-analyzing discrimination in the marketplace every five years or so. Hence, the need for repeated diversity studies to find out if further remedy is still needed. In a five to four decision in City of Richmond v J.A. Croson, the Supreme Court held that under the equal protection clause of the 14th Amendment you cannot make a distinction between benign discrimination to help someone and malign discrimination designed to hurt someone. Justice Thurgood Marshall, the first black man to serve on the high court, sharply dissented in that decision. He thought that if you are going to redress legal discrimination you need legal remedies or no social progress would be made. De facto discrimination would continue to hurt blacks. That is pretty much the case in Nashville today, 27 years later. Lane implied that the reason Metro hasn’t taken stronger steps to address its diversity problem is the fear of getting sued. 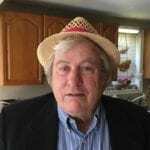 District 21 Councilman Ed Kindell said 2.8 percent minority participation is unacceptable. 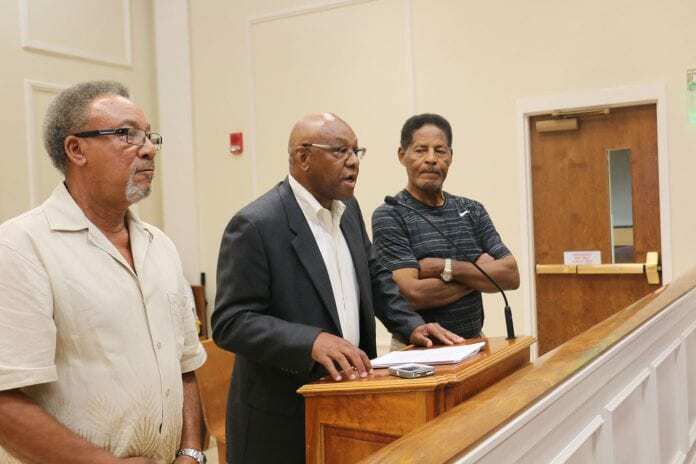 He said during his 27 years on the School Board they found ways to use black janitorial services that raised minority participation to 10 percent. “I have heard of where many general contractors doing large projects, when they seek subcontractors, they may be looking for a masonry contractor but they send out the bid to a drywall contractor Some of that does go on,” he said. “Those are the businesses who are very competent small businesses who could perform on many of these major projects… I don’t think we have found ways to creatively seek these contractors,” he said. Coure suggested that Metro adopt a program similar to the business inclusion program in Charlotte, North Carolina. He also asked the council to request an audit of Metro’s purchasing practice over the last five years and he asked the council to work with the NAACP “to draft legislation to eliminate purchasing disparity permanently”. Towards that end, District 5 Councilman Scott Davis wanted to know if there was a way to adopt some parts of Charlotte’s program now. “If we don’t get the study, let’s say within a month or two, are there things we can implement inside our code?” he asked. “Sure. The Charlotte ordinance is fairly complicated, as you know, and our equivalent is in Title 2. We could certainly amend our Title 2 to incorporate or adopt provisions that are in the Charlotte code,” said Council Legal Director Mike Jameson.